Finikia is a small village, attached to Oia as its neighbourhood. 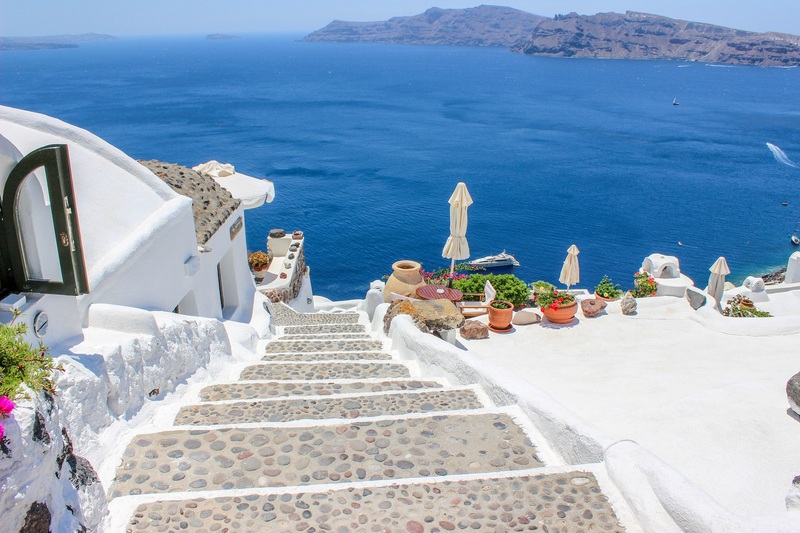 There were the wineries where the grapes from the wine field of Santorini, were processed to wine. Village is there since middle Ages. Most buildings were wineries with some accommodation for the workers. The economy of this small village was directly dependent from the wine. As there were not any wells in the area, fresh water was scarce and exclusively supplied by the rain, collected into the sizable underground cisterns of the houses. In our days, very few houses maintain their cisterns in operation and fresh water is provided by the sea, via a local DE-salination plant. In our days, Finikia is characterized as a Traditional Settlement and therefore the local architecture is somewhat protected. No cars or motor vehicles of any kind are allowed into the narrow alleys of the village. Finikia is a very silent and romantic place away from the afternoon tourist crowds raiding Oia due to its famous sunset. There you can enjoy your wine in peace while sun falls….